Teach Reading and Writing – How? If you would like to learn how to teach phonics clearly, read on. 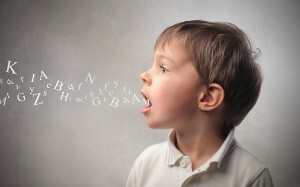 First you will need a clear understanding of the relationship between sounds in words and speech. The eBook sold on this website, ‘Practice Reading & Speaking‘, is an out of the box phonics course that teaches all you need to be able to teach phonics clearly and concisely. Learning to read new words involves seeing, recalling, decoding, visualising and vocalising each part of the word. You will need to teach your student these reading skills. With familiar words, a permanent memory is recalled of the whole word. Like a proficient typist, the response is instant. Whilst teaching sight recognition of whole words to pre-schoolers has its place, this is a temporary solution to learning how to read fluently and spell accurately. However, balance is the key. If you strengthen one sense such as hearing the ability to notice visual differences will weaken. So, find ways to strengthen visual acuity whilst working on phonics. This can be done through writing or drawing. Even spot the difference pictures will aid in keeping visual discrimination strong. We all need ALL of our senses working in harmony. To know how to teach phonics clearly requires an in depth knowledge of how to decode words accurately. When you pass that knowledge onto your pupils you can empower them to decode any word alone and with confidence. It will raise your pupils reading and spelling ability to a higher standard. It is well worth the time spent honing these important skills. Fortunately, Practice Reading & Speaking makes it easy to learn and practice these skills. Both teachers and their students will benefit from a clear understanding of phonics. Whilst there are different approaches on how to teach phonics effectively, switching methods continually in the hope that the next programme will be more effective will leave your pupils and you confused. Learning how to teach phonics involves careful preparation, clear objectives and good teaching skills in order to accelerate phonic progress. If you learn how to teach phonics by concentrating on the facts only, you can keep explanations simple. Your time will be best spent by learning how to teach the facts; rather than trying to get your head around yet another method of how to teach phonics. Practice Reading & Speaking is about the facts only. It isn’t a new teaching method. Decide which phoneme/grapheme you want to teach. Before you teach phonics, make sure that you have a thorough understanding yourself of how to separate and combine the individual chunks of sounds in sample words. Prepare a precise, simple explanation using as few words as possible. Make a clear space without distractions to teach the lesson. Include memory techniques in your lessons E.g. a colour, an image, an object or spider diagram. If the phonic principle has been grasped, give more interesting examples. Help the pupil to discover memory techniques that work for them. Prompt memory regularly when the lesson is over. Test understanding again before the next phonics lesson. Notice, phonic courses with complicated methods were not needed. All you needed was a thorough understanding of how to teach phonics and the ability to explain the key facts succinctly. It’s good teaching skills that will help your pupil gain a solid grasp of the principles of synthetic phonics, not gimmicks. When a pupil has a thorough understanding themselves of phonic principles, they will know how to teach phonics to someone else. Why not immediately after teaching a new spelling of a sound, test the pupil’s grasp of the concept by suggesting that they teach it to the person sitting next to them. If they haven’t grasped the principle fully, they will be unsure of how to teach it. There is a tendency to listen more carefully to explanations if you know that you will need to explain it to others. Memory of the principle is also enhanced and a firmer grasp of phonic principles will be achieved. How to teach phonics will be a new skill that your pupils are acquiring. They in turn will be able to help others learn to read. Knowing how to teach phonics involves memory techniques. A spider diagram with the image of the sound in the centre helps the student to remember. The new grapheme can then be linked to that image, demonstrating that the sound it says is exactly the same as the sound that they already know. The pupil now has a way of remembering (colour, picture, sound, word, spelling). Same colour, same picture, same sound, same word then new word/new spelling. The original links stay in the mind, whilst new memories are being tagged on. By learning how to teach phonics in this way, you are giving the student the best possible chance of remembering new things learned. Teaching phonics involves skill and innovative ideas as well as knowledge. However, clarity and employing memory techniques is always the key. Practice Reading and Speaking‘s approach on how to teach phonics, clarifies every sound that we speak in English. The many varied spellings of the sounds in English, are linked to an image and a colour. (Letter sounds are red. The alphabet name of the letter is blue. Vowel digraphs are green.) With the key image and it’s keyword memorised, it’s an easy task to link a new grapheme to the image of the sound that they already know. Using a visual method to enhance the memory of what can be heard gives the pupil a way of remembering. They are linking something that they know and find easy with something difficult. Childlike simplicity is needed when you use your knowledge of how to teach phonics. Children, who are taught clearly and precisely, by a teacher with a crystal clear and thorough understanding of how to teach phonics, will have the best possible chance for success. The eBook ‘Practice Reading and Speaking’ explains how to teach phonics by separating sounds or clusters of sounds in words. Every part of every word has been explained in terms of the relationship between the sound and the written code. You can obtain a thorough grasp of how to teach phonics by means of the exact principles needed to decode any word regardless of whether it is regular or irregular. It will leave you in no doubt how synthetic phonics works and how to teach phonics even to students whose first language is not English. This thorough understanding allows the teacher to use as few words as possible when teaching reading in order to let the phoneme/grapheme relationships speak for themselves. The book will reduce the time spent in lesson preparation. This in turn allows the pupil to absorb the facts of synthetic phonics quickly and memorise them without hesitation. A comprehensive picture of how to teach phonics will become crystal clear. Phonic programmes that involve elaborate teaching methods are unlikely to allow you to improve teaching skills and discover what works for your pupils. In fact, they can take up months of your time learning how to implement them. In order to know how to teach phonics well, you need the basic facts, presented clearly and succinctly. Every concept needed in order to know how to teach phonics successfully, needs to be included at an age and ability appropriate time. You also need a foolproof way to help the pupil remember what they have learned. Uncluttered teaching notes allow for clear thinking and lesson planning. Teaching phonics with precision in the same way that dyslexics are taught, will allow the whole class the best possible chance of reading success. Why not preview ‘Practice Reading and Speaking’. It offers the facts about how to teach phonics along with over 12,000 practice words, without the clutter of methodology. It also allows you to develop in your students an adult reading age, due to the inclusion of over 1,000 phoneme/grapheme relationships. It will allow you to develop specialist knowledge about phonics that will boost your pupils’ reading and spelling results. Nested in this book on how to teach phonics, is the 70 module/page course teaching every phoneme/grapheme combination needed as an adult reader. Basic English writing and public speaking skills have also been included. As a complete guide to English literacy the core skills it teaches includes all of the reminders that you need in one book. It will also clarify pronunciation for your students whose first language is not English. For additional information, including a preview of the eBook on how to teach reading, click here. Students whose first language is not English will need additional hints and tips on English pronunciation. These have been included at the bottom of each page in the course sold on this website. The student will first need to learn how to pronounce the individual sounds heard in English with precision. They will need to learn about word stress, sentence stress, intonation, linking words, pausing and to slow down their rate of speech in order to be understood more clearly. Practice Reading & Speaking will allow the student to practice words with the same sound at one time. Further help can be given by reading stories that are targeted for individual sounds. The following phonic stories eBook covers all of the sounds heard in spoken English. It mirrors the Practice Reading & Speaking phonic course and covers up to module 39. See the Phonic Stories for adults eBook. Understanding how to teach phonics to ESL/EFL students will enhance your understanding of how the English language works. You can then transfer your knowledge to any student successfully. Most phonic courses don’t include the additional elements on British pronunciation that this course includes. You can refine your understanding of how to teach phonics by including natural British pronunciation in your training. In summary, you will learn how to teach phonics clearly to children and adults. You will increase your understanding of how to teach phonics precisely. Teaching notes, phonic tests, a phonic dictionary, as well as many other useful resources are included. Hints and tips are included throughout the phonics course to assist ESL/EFL students with British English pronunciation. You will find a challenge on each page for the student, a way to remember parts of speech, a self-correction reading book mark, spelling rules, writing ideas, ideas for games, how to improve comprehension, public speaking and much more. How to teach phonics and Basic English to any age or ability will become clear. To Buy Practice Reading and Speaking click here.